A Chinese Internet giant is expected to win approval from the Securities and Exchange Commission (SEC) for potentially the largest ever U.S. initial stock offering despite a myriad of investment and security risks posed by the IPO, critics say. Alibaba Group Holding Ltd., a Chinese company whose online retail sales exceed those of U.S. competitors, such as Amazon or Ebay, currently awaits SEC approval for the stock sale that could raise as much as $20 billion. The SEC has assented to several IPOs of Chinese companies with similar corporate structures since 2000. However, critics of the offering say the potential financial benefits for U.S. investors mask serious concerns about Alibaba’s opaque corporate structure, the risks involved for U.S. shareholders, and the personal security of Americans. Congress and the Obama administration have raised few objections to the stock sale. Alibaba plans to operate as a variable interest entity (VIE), a setup that allows it to avoid a Chinese prohibition on foreign investment in key industries such as the Internet and telecommunications. Chinese companies in the past have split their operations between a wholly foreign-owned subsidiary incorporated offshore, typically in the Cayman Islands, and a VIE in China that contains licenses and assets barred from foreign ownership. The U.S.-China Economic and Security Review Commission said in a report last month that "U.S. shareholders face major risks from the complexity and purpose of the VIE structure." VIEs can still be "considered illegal" in China, and Chinese judges are unlikely to honor the contracts between the foreign-owned subsidiary and the VIE if U.S. shareholders seek to challenge the company in court, the report said. David Yerushalmi, a securities litigator and co-founder of the American Freedom Law Center, said at a panel discussion on Tuesday that the lack of transparency associated with Alibaba’s structure should be raising more red flags among regulators and investors. "Contractual relationships do not create the ownership rights, disclosure, and transparency that [Americans] expect when we buy an equity interest in a company," he said at the event hosted by the Center for Security Policy (CSP) at the National Press Club. 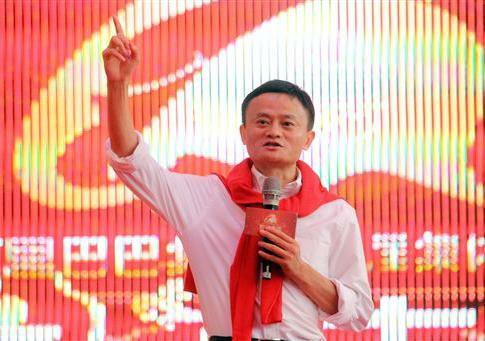 Yerushalmi added that U.S. investors would find it difficult to recover assets if Alibaba suffered financial troubles. "U.S. shareholders would have no U.S. law or U.S. judicial system to rely upon," he said. "They would have to litigate in China under Chinese law without any protections that U.S. law provides." Hong Kong regulators last year rejected Alibaba’s plans for an IPO in the city over concerns that a 27-member group would have sole authority to nominate a majority of the company’s nine directors. Alibaba has not commented publicly on the company’s effort to have the offering in New York as it enters a pre-IPO quiet period. The company does note in its IPO filing with the SEC that "the contractual arrangements may not be as effective in providing operational control as direct ownership." Experts say Alibaba also poses a threat to the personal security of Americans as it expands its operations in the United States. Michelle Van Cleave, a former U.S. national counterintelligence executive, said Alibaba’s e-commerce business would enable it to access personal information from individual consumers. The company has invested in several U.S. tech companies in recent months, including contributions to a $250 million funding round in April for the ride-sharing app developer Lyft. The Washington Postreported on Saturday that a Florida-based biofuel company traced millions of hacking attempts on its computers this year to IP addresses and servers affiliated with the People’s Liberation Army (PLA), China’s military, and Aliyun Computing. Aliyun is the cloud computing subsidiary of Alibaba. Alibaba said the U.S. biofuel company, Algenol, confused ordinary Internet traffic for attacks. Frank Gaffney, president and CEO of CSP, said a U.S. IPO for Alibaba would increase "the likelihood that we’re creating new opportunities that are not going to be disclosed properly to American consumers for personal information about them or proprietary information critical to their companies’ economic success" to be compromised. Algenol’s accusations follow mounting concerns about the Chinese government’s aggressive cyber espionage activities. U.S. authorities issued unprecedented indictments in May against five Chinese military hackers who allegedly engaged in widespread theft of American corporate and trade secrets. The PLA responded to the indictments by announcing that it would establish a high-level cyberspace intelligence center.